What Makes a Good Data and WiFi Network? The data and WiFi networking equipment in our homes is often overlooked. Unlike the other technology equipment we can see, touch and experience, networking equipment is practically invisible. It’s hidden in a rack, or on a shelf, or in a closet, quietly working around the clock, streaming video and audio, sending and receiving email, and keeping your home and devices connected. The only time we think about the home network is when it isn’t working. A robust data network is key to reliable performance of any technology system. Modem: literally an abbreviation of “Modulation + Demodulation,” it provides access to the internet. Router: routes (hence the name) traffic from one network (a wide area network like the internet, or WAN) to your local home or business network (local area network, or LAN). 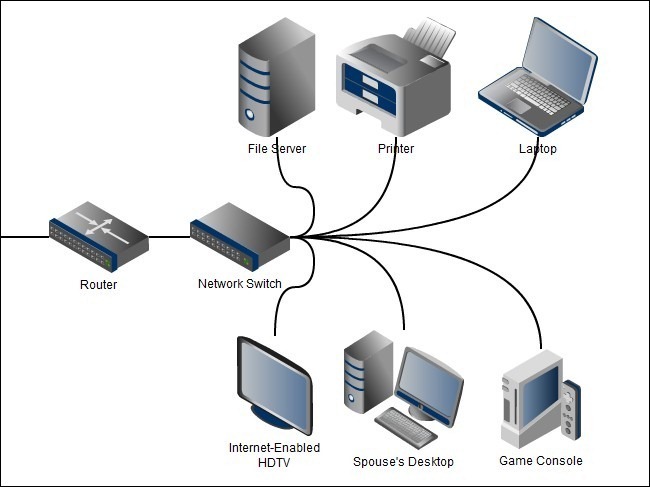 Network switch: allows for a hardwired connection for multiple network-enabled devices. Wireless Access Points (WAPs): these are hardwired to the network and create the WiFi coverage in a home. There are 5 generations of WAPs: a, b, g, n and ac. “N” has been used for the past 5-7 years, and “ac” has started being deployed in the last 12-18 months. Wireless repeater. This is like a WAP, but it is not hardwired into the network. Wireless repeaters are just plugged into power, and “repeat” a WiFi signal. Because it has to “repeat” the signal, these devices cut WiFi speed in half. What size is your network? Networks can be of various sizes. For instance, a 1,500 square foot home with little technology might be fine with the “all-in-one” gateway from a service provider, which includes a combination modem/ router/wireless access point. A variation of this might be to add one or more access points or repeaters. These systems are inexpensive, but limited. Larger systems -with more connected devices and/or larger square footage – need more sophisticated systems. These “business grade” or “enterprise” grade systems use higher quality components capable of greater speeds. Instead of combining equipment into a single “all in one” unit, there are separate devices – a modem, router, switches (managed and unmanaged), and wireless access points. Also, good WiFi systems require good wiring infrastructure. So why might your internet speed be slow? Below are a few common symptoms, and typical solutions. Slow incoming service. While it varies, Mills typically recommends our customers have at least 50 Mbps(download speed) service, and often higher. This does not mean that customers are always getting this speed, though. Often speed slows at peak hours – from 5pm to 7pm on weekdays, and on weekends. Solution: Check your internet speed package with your service provider. If you feel there is an issue, Mills offers a monitoring device that checks and logs Internet speeds throughout the day. It can also help remotely diagnose other system issues by our service team. Insufficient WiFi coverage. Most high-powered wireless access points (WAPs) cover about 1,500 square feet; however, this can vary greatly based on building construction and other wireless interference. In addition, speeds drop the further you get from the access point. If you aren’t showing many “bars” in some locations, or speed seems painfully slow when far from an access point, this may be the problem. Solution: Make sure that you have an adequate number of access points. When possible, Mills works with manufacturers’ engineering teams – using floorplans and known wall materials – to optimally place WAPs. Poor WiFi handoffs. When moving around, a wireless device (smart phone, tablet) will try to connect to the WAP with the strongest signal. However, not all WAPs “hand off” the same, and sometimes a device will remain connected to a WAP that is much further away (with slower speeds). Consumer WAPs, especially older Apple Extremes and Expresses, were known for this issue. Solution: More is not always better – too many WAPs create more handoff issues, so proper design is important. Most enterprise-grade WAPs are much better at handing off. In addition, a wireless controller can be a useful device to monitor all of the WAPs in real time, and adjust their power output as needed, creating adequate coverage without too much overlap. Wireless interference. As important as WiFi is in all of our lives, it is quite amazing that up until about 2 years ago, the total number of unique WiFi channels was 3. It would be like you and all of your neighbors within a few hundred yards sharing three phone numbers to make all of your phone calls. In addition, there are a large number of other devices – cordless phones, microwaves, baby monitors, game controllers and more – that also use these same frequencies. Solution: In any project, and especially in urban areas, a thorough radio frequency scan and analysis should be performed to optimize a WiFi network. 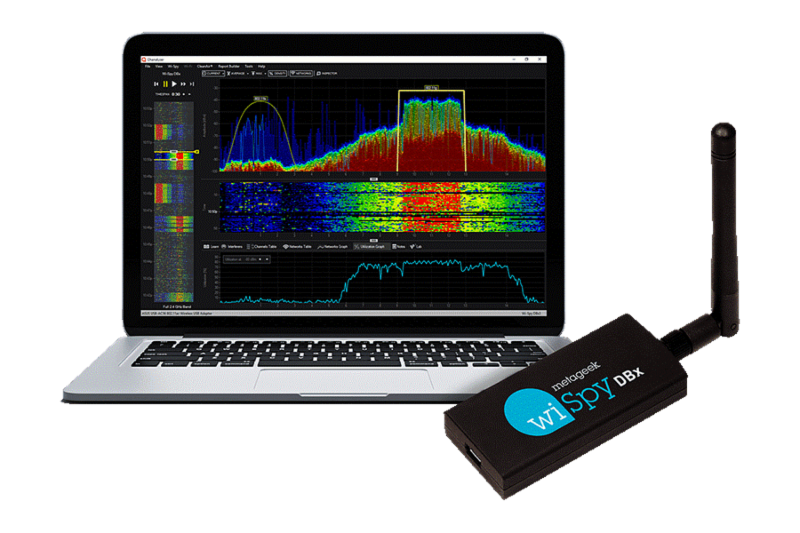 Mills owns and utilizes a very sophisticated RF analysis tool and software to identify sources of interference, and uses it both to optimally place WAPs and set them to the proper WiFi channel. Fifth generation “ac” WiFi has introduced a number of benefits: faster speeds (higher frequency waves), use of the 5.0GHz spectrum (which has much less interference), and 24 non-overlapping WiFi channels (versus 3). Because of this, there is far less interference. The only downside of 5.0GHz is that the waves don’t travel as far, so more WAPs are needed to cover the same amount of space. Network stability is the backbone of the smart home. It’s not just a benefit, it’s a requirement in today’s connected home.